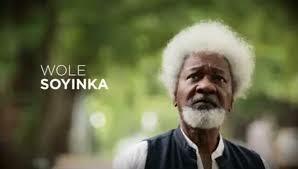 Nobel Laureate, Professor Wole Soyinka, has been chosen by militant group, Niger Delta Avengers, NDA, as one of members of it dialogue group in the proposed dialogue with the federal government. Spokesman for the Dialogue Group, Mr. Ballantyne Agiri, made this known to the New Telegraph on Tuesday. He hinted that the militants had set up dialogue group to engage the Federal Government in meaningful dialogue as part of the initiatives to end the crisis rocking the Niger Delta region. He said the Nobel Laureate was chosen because of the track records as a freedom fighter as well as a credible and detribalised personality. Agiri said the leadership of the militant group has for months been looking for credible persons who are capable of standing for them and present their grievances before the federal government. He said, “I was on my own when they invited me to work for them. “But I told them that one person cannot hold dialogue with the government, that we should look for eminent Nigerians who have the pedigree to do a good job.